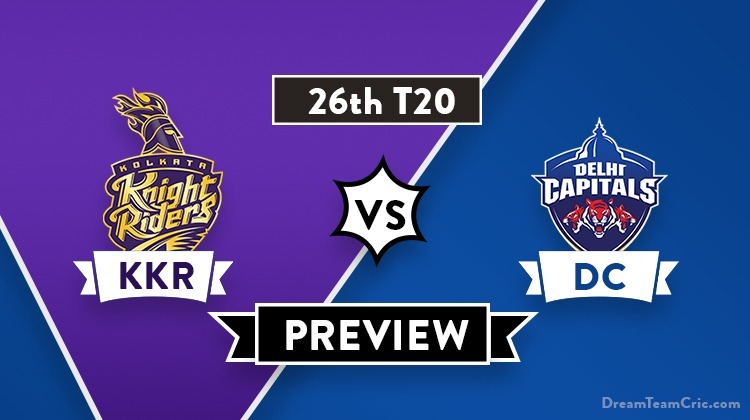 Hello and Welcome to our preview for Kolkata Knight Riders vs Delhi Capitals match. 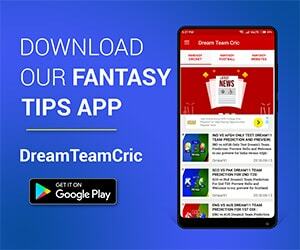 We are covering KKR vs DC Dream11 Team Prediction, Preview and Probable Playing XI for the T20 match. The match is to be played at Eden Gardens in Kolkata. Kolkata Knight Riders are second on points table with four wins and two losses. 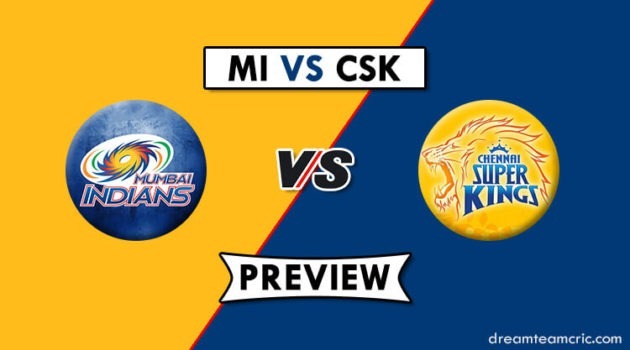 They lost their last match to Chennai Super Kings by 7 wickets. Batting first, KKR suffered early collapse and were limping on 47/5 before Andre Russell scored a crucial fifty to take team to a total of 108. Defending the low target, Sunil Narine bowled well to take two scalps but could not save the team from loss. They will be determined to continue their brilliant record against Delhi at Eden Gardens and take revenge for their super over loss few days before at Kotla. Delhi Capitals are sixth on points table with three wins and three losses. They won their last match against RCB by 4 wickets. Bowling first, A Kagiso Rabada special demolished RCB line-up restricting them at 149. Rabada took four wicket-haul while Morris took two scalps. Chasing the target, Skipper Shreyas Iyer played match winning knock to lead his team to victory scoring 67 runs in 50 balls and was supported by Prithvi Shaw and Colin Ingram. They will hope to capitalise on the momentum and register another victory defeating mighty KKR and improve their standing in points table. KKR VS DC, 26th T20, Indian Premier League, 2019. Pitch will favour pacers over spinners and a good total can be expected. Matthew Kelly has been signed as replacement for injured Anrich Nortje. He will join the team soon. No changes are expected in their playing XI. Joe Denly, Carlos Brathwaite and Lockie Ferguson are likely to warm the bench tomorrow. Sunil Narine and Chris Lynn will open the innings. Robin Uthappa, Nitish Rana, Shubman Gill and D Karthik will follow them. Andre Russell and Sunil Narine will play the role of all-rounder. Piyush Chawla can also contribute with bat. Kuldeep Yadav, Piyush Chawla and Sunil Narine will be the key spinners while Prasidh Krishna will lead the pace attack along with Andre Russell and Harry Gurney. Nitish Rana can also bowl few overs of spin. As indicated by coach Ponting, They can add another pacer Trent Boult or Avesh Khan considering pitch condition. C Morris, Axar Patel and Rahul Tewatia will play the role of allrounder. K Rabada can also contribute with bat. Sandeep Lamichhane, Axar Patel and Tewatia will lead the spin attack while Kagiso Rabada, C Morris and Ishant Sharma will be the key pacers. DC won the toss elected to field. Keemo Paul comes in for Sandeep Lamichhane for DC. Sunil Narine, Harry Gurney and Chris Lynn misses out which means Joe Denly, Carlos Brathwaite and Lockie Ferguson are in the starting 11. Carlos Brathwaite, Joe Denly, R Uthappa, Nitish Rana, D Karthik (C&WK), Shubman Gill, A Russell, Piyush Chawla, L Ferguson, Kuldeep Yadav, Prasidh Krishna. They can shuffle their batting order. Russell can be promoted for big hitting. Shikhar Dhawan, P Shaw, S Iyer ©, Rishabh Pant (wk), Colin Ingram, Chris Morris, Axar Patel, Rahul Tewatia, K Rabada, Ishant Sharma, Keemo Paul. C and Vc Choices: A Russell, C Morris, K Rabada, Shreyas Iyer, Rishabh Pant. If you liked KKR vs DC Dream11 prediction, then follow us on Twitter for Latest Cricket News and Grand League teams.